In addition to the cliffs, the island is also famous for its vibrant villages located on the cliff tops, the whitewashed buildings scattered around the island, the exquisite sandy beaches, the crystal clear blue waters of the sea, and the spectacular sunsets. All these make Santorini one of the most beautiful destinations in the world, and one of the best places to spend your holidays in Greece. Caldera is a sea-filled crater just opposite the island of Santorini, which was formed after the volcanic explosion that hit the island. Caldera is one of the most beautiful natural wonders of the world. 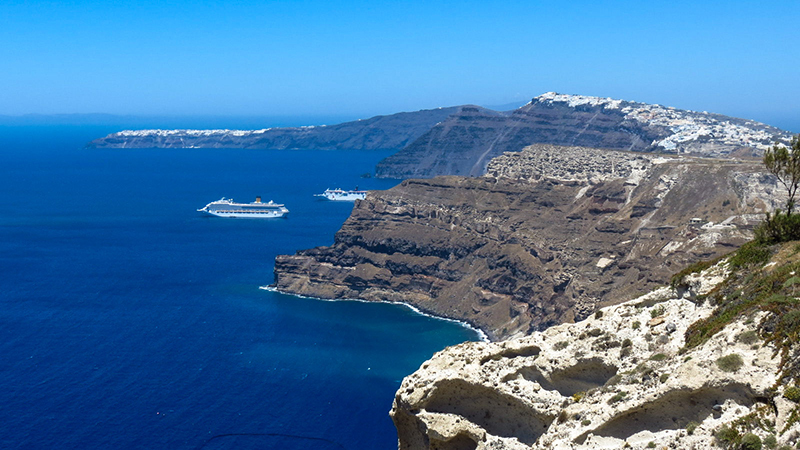 When spending holidays in Santorini, you can explore Caldera through a boat excursion and enjoy the unique experience of bathing in its hot springs. Red Beach is a beach that is located southwest of Firá in the town of Akrotíri, near the ancient settlement of Akrotíri. 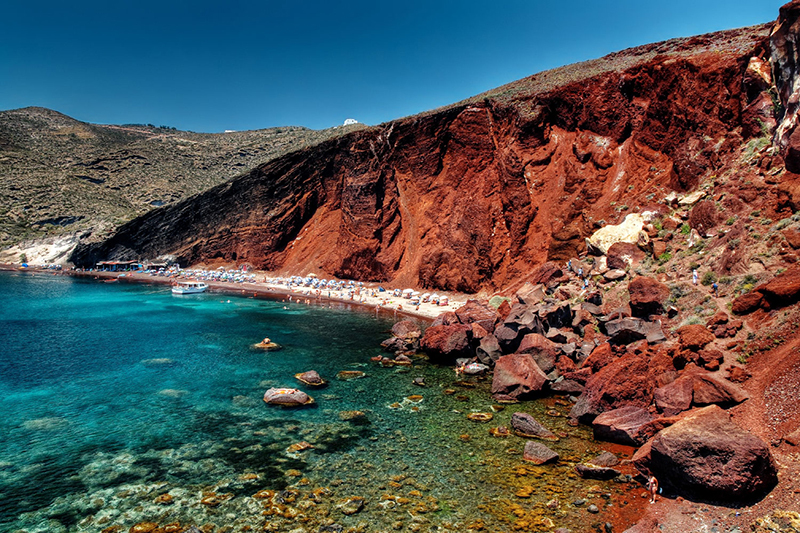 The beach is famous because of its spectacular red cliffs that form a wall at its background, hence the name Red Beach. Ancient Thira is a historic city dating back to the 9th century BC, which is located on the southeast coast of Santorini. There, you will see the ruins of the Hellenistic temples and buildings, as well as foundations of buildings built during the Roman and Byzantine era in the island. The ruins are considered an important archaeological site, and various finds originating here are displayed in the Archaeological Museum of Firá. The Archeological Museum of Firá is a small museum that is located near the cable-car station in the town of Firá. 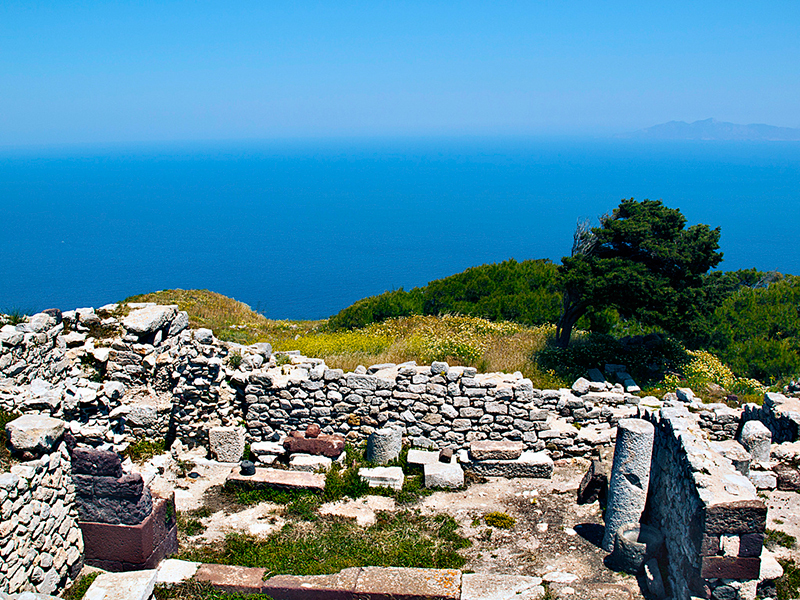 The museum displays various archeological finds of the island, especially from the ruins of the Ancient Thira. The items displayed, include finds originated from the Dorian, Roman, Byzantine, and Hellenistic eras. 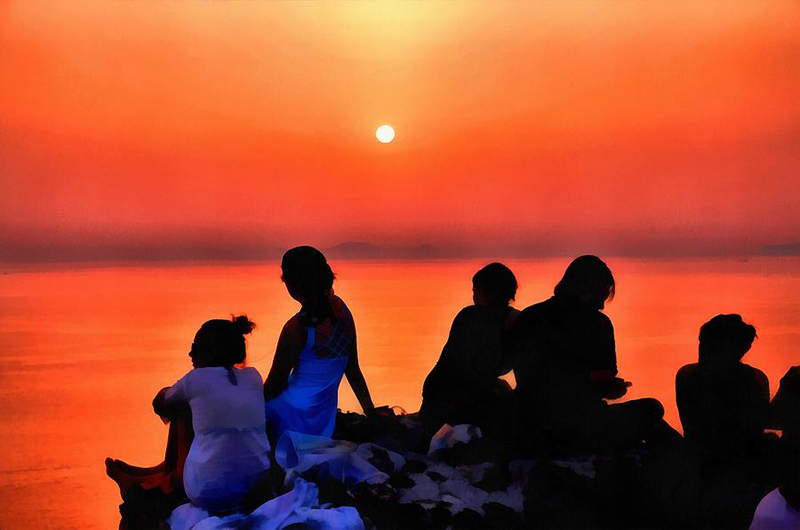 One of the most popular things to do in Santorini is watching the sunset in Oia. Known the world over for its spectacular views, Oia sunsets are a must on any trip to Santorini – at least your first time on the island. Santorini island features some of the best beaches throughout the Greek islands, where you can enjoy a swim and then relax under the warm sun. 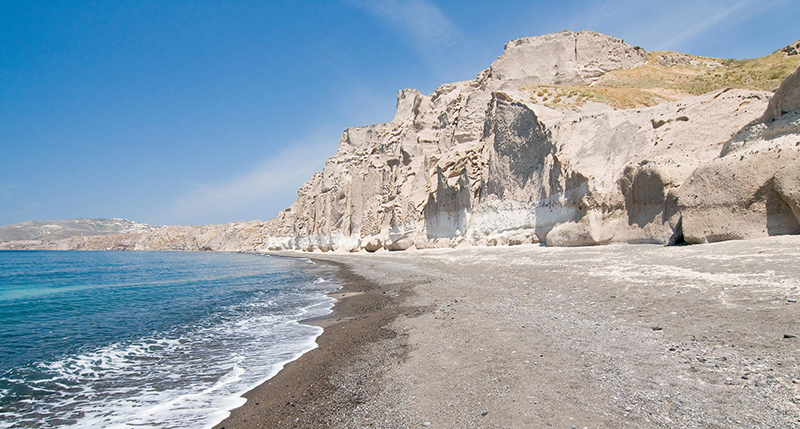 Some of the beaches in Santorini, where you can have a swim, include the Red Beach, Kamari Beach, Perissa Beach, Perivolos, Agios Georgios, Cape Columbo, and the White Beach (just like the Red Beach, the White Beach is surrounded by white cliff walls). Santorini island is not very big, however it has several attraction sights that you can visit while vacationing on the island. 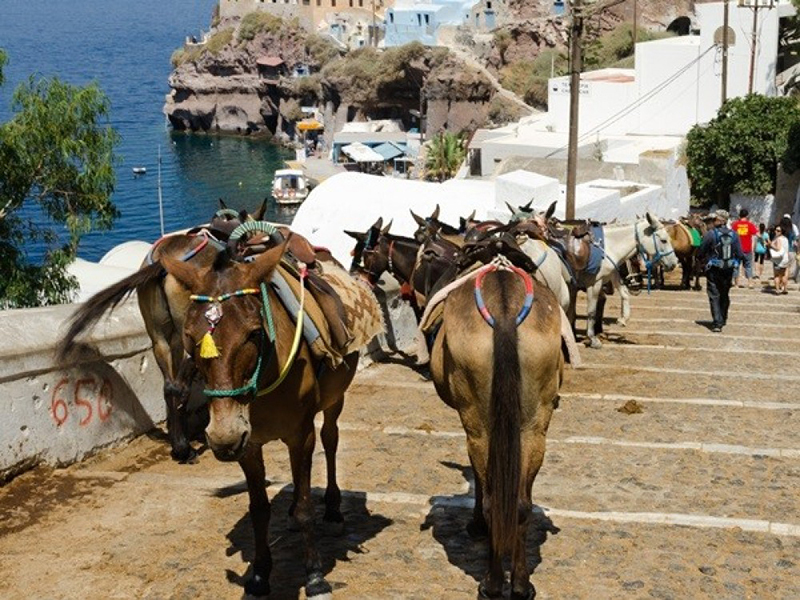 The most convenient means of transportation on Santorini island is a donkey ride, which make the exploration of the island really thrilling! The island of Santorini is famous for its wine production, and it has a long history (dating back to the Roman times) of viniculture, where grapes are used to produce high quality wine. When spending holidays in the island, one of the activities you should engage in is a wine tour, where you can visit the island’s best wineries and sample some of the best wine in the world. If you love music, dancing, and partying, Santorini features one of the best entertainment and nightlife scenes among the Greek islands. The island is well known for hosting several beach parties, with some starting early in the afternoon and ending in the morning. 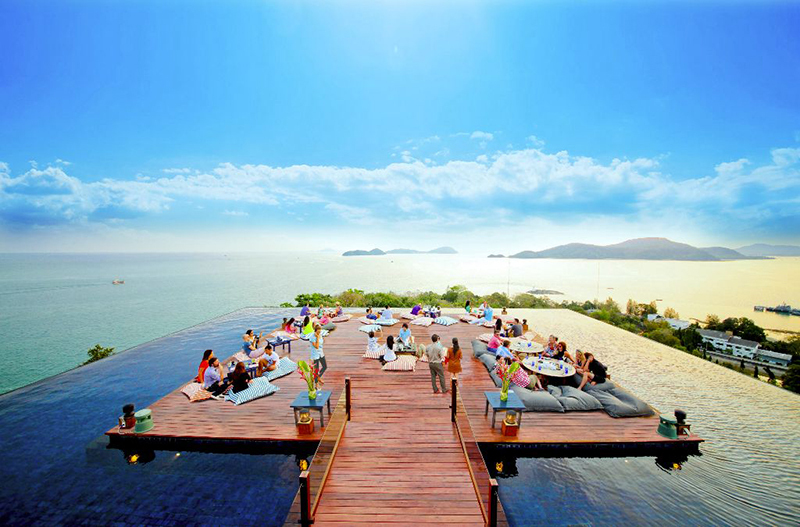 There are also numerous beach resorts, bars, and clubs where you can have an amazing time. Some of the best spots where you can party and have fun in Santorini include Perivolos, Perisa, Monolithos, and Kamari beaches where you will find great clubs and beach parties. You can also enjoy visiting various clubs on the island, especially in Firá. Various clubs you should check out include the Chilli Bar, Wet Stories, Koo Club, Enigma, Casablanca, Belair Lounge, Crystal, Tango, and Tropical. 1) Nikolas Tavern, located in the center of Firá Town, offers local and homey Greek dishes. 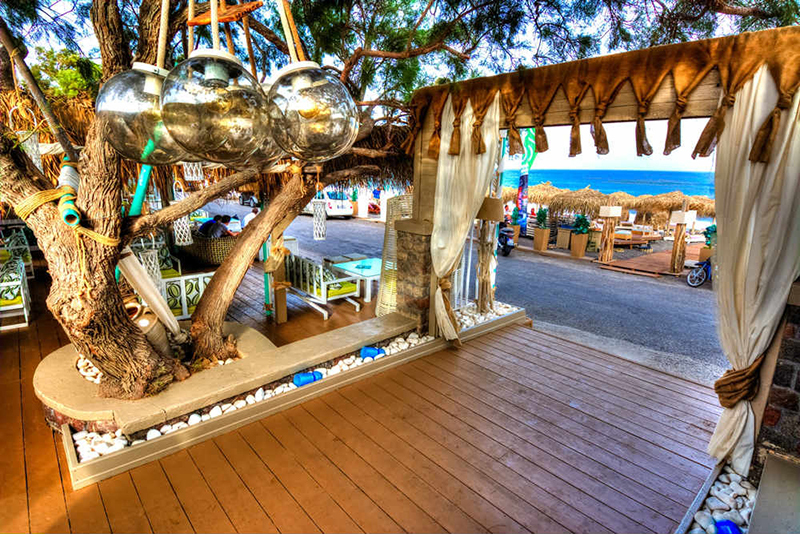 2) Dimitris, a seaside restaurant located on Ammoudi Bay in Oia. The restaurant serves fish and other delicious seafood dishes such as shrimp, lobsters, octopus, mussels, etc. You can also find other special dishes such as fries and grilled pork chops. In addition to the food, it has an amazing view of the sea, which is very relaxing. 3) Oia Restaurant is located in Oia, Santorini. It is located in an old building of the 2nd century, giving it an amazing style. The restaurant serves traditional Greek dishes with a Mediterranean touch. 4) Selene, an up market restaurant located in Pyrgos, which serves dishes such as sea urchin, artichoke salad, wild capers, rabbit meat, quail, fish, and lamb. 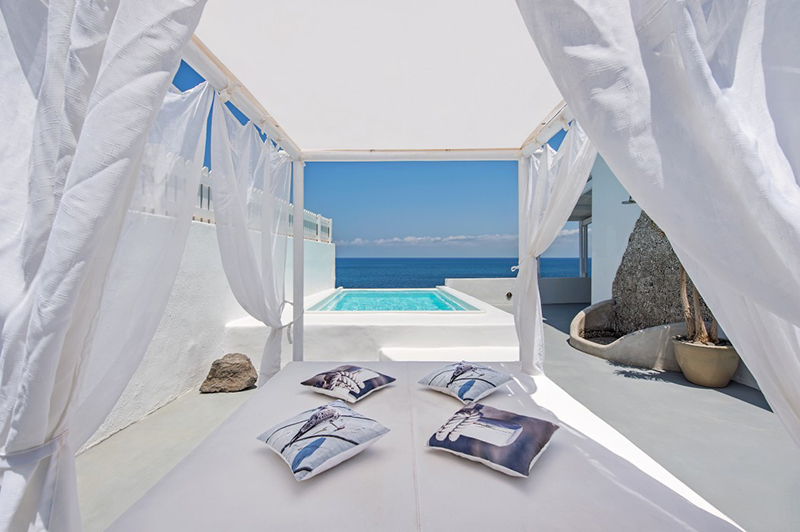 You may choose among a variety of breathtaking sea view villas in Santorini and spend your holidays in one of the best destinations in Greece. The island is breathtakingly beautiful, surrounded by clear blue waters of the Aegean Sea, and decorated with whitewashed buildings. It also has several attraction sights, offers lots of fun activities to engage in, great dishes and places to eat, as well as an amazing and vibrant party scene.